Typically using a 64mm stud in a 92mm track, staggered stud system requires twice as many studs as a standard wall system. 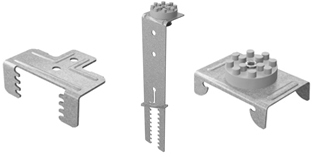 With the studs at a maximum of 600mm centres on each side, there is effectively a stud every 300mm. 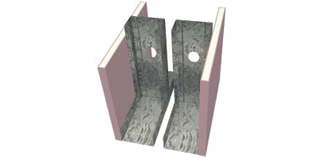 Insulation is weaved between the staggered studs to assist with improved acoustic performance. This method of installation has significantly reduced achievable wall heights. With the studs sheeted on one side only and no nogging to limit deflection, the achievable wall heights are less than those of a discontinuous construction. 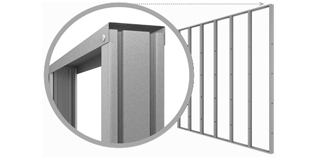 Wall heights can be improved by increasing the BMT of the studs used or closing up the centres at which they are installed. This can be expensive and other alternatives such as the Acoustic Stud should be selected. Another way to increase wall height is to fit staggered 92mm studs into a 150mm track, this however increases the footprint of the wall by 58mm. This configuration used to be considered as a method of a discontinuous construction, but it no longer satisfies the requirements of the BCA, which defines discontinuous construction as a wall having a minimum 20mm cavity between two separate leaves.  For information on maximum wall heights contact Knauf Technical Team.